A newer edition of this book is available here! 'beautifully demonstrate the intricacies of the systems within the body, and make learning much easier...I would not hesitate to recommend this text book to any other student...an invaluable tool to aid dissection' - ("Medical Student Review"). 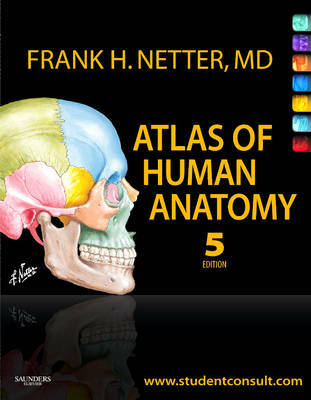 The most widely-used anatomy atlas in the world! Dr. Netter's outstanding artwork demystifies this often intimidating subject, helping students to understand anatomy and how it applies to medicine. Now with a stronger clinical focus than ever before, it captures anatomy the way it is most frequently seen in practice with many more diagnostic imaging examples.